Todays post is a continuation of the two prior - the first was about talking about Generational versus Situational poverty, yesterdays was about the resources you need for success, and today is about the hidden rules that define our lives. Hidden rules are the unspoken habits of a group and refer to when you know how to 'play the game' and what the 'done thing' is in any given situation. These rules differ for those who are in poverty, the middle class and those who are wealthy. Understanding how each group thinks in a given set of circumstances helps us better understand behaviours, influences and how best to assist someone to change things, especially the students in our schools. Firstly, the environment you are raised in teaches you the hidden rules of survival that are needed in that particular environment. The rules of the environment influence your behaviour. The rules of class (those in poverty, middle class and those who are wealthy) pervade the other hidden rules around gender, race, age and religion. Knowing different sets of rules allows you to negotiate different environments more successfully. To understand this better, lets look at seven of the main areas of life and the rules that govern them for each of the three groups. As you read them, think about the students and families in your school - what difference does it make when you look at how they operate, when you look at it through this different lens? Which set of rules do you operate from? If you are in poverty, the key question you have around food is "Do we have enough", in this situation, quantity is important. The key question here is "Did you like it? ", and quality is the the important factor. If you are wealthy, it is not about quantity or quality, it is about presentation - so the key question is, "Was it presented well?". Here the present is the most important, and decisions are made for the moment based on how one feels and/or what is needed for survival. The middle class sees the future as important and decisions are based on what they think the future ramifications of something might be. For the wealthy, traditions and history are important and decisions are partially made on the basis of what decorum dictates and what tradition has been in the family. Money is to be used and spent. If you have it, you use it and you spend it because tomorrow there may not be any. Money is to be managed. Money is to be conserved and invested. The most important possession when you are in poverty is people. Things are important - the boat, the cars, the next new phone, the things in our homes. Here it is one of a kind objects, a pedigree or a legacy. Education is valued and revered but it is abstract and not seen as a real reality, and often not linked with a plan to achieve. It is seen as a nice to have not a need to have. The middle class see education as crucial for climbing the ladder, making money and being successful. Education is important to maintain connections, and for tradition. Will depend on who has the money. The language is about negotiation and is in the formal register. The language is about networking and is also in the formal register. Schools, businesses and all the agencies that work with people, such as welfare, child protection, the courts, and NGOs, all operate within the rules of the middle class. 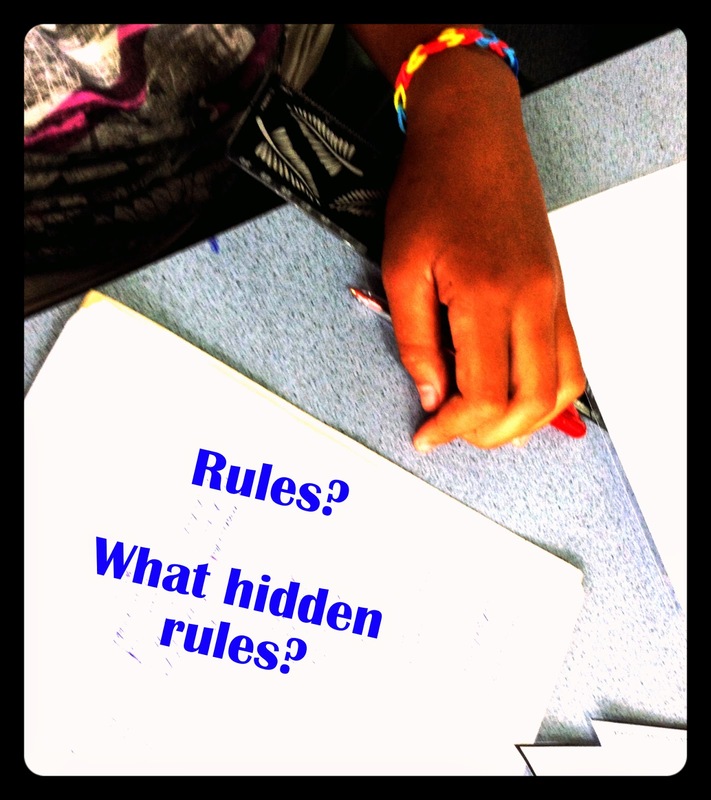 If we are to assist our students to be successful, then we must understand these hidden rules and teach them the rules that will allow them to be successful at school, at work and in the community.